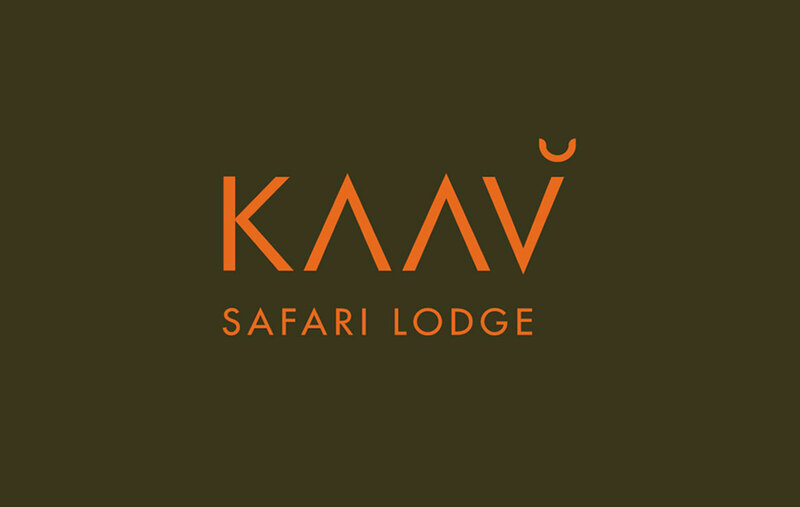 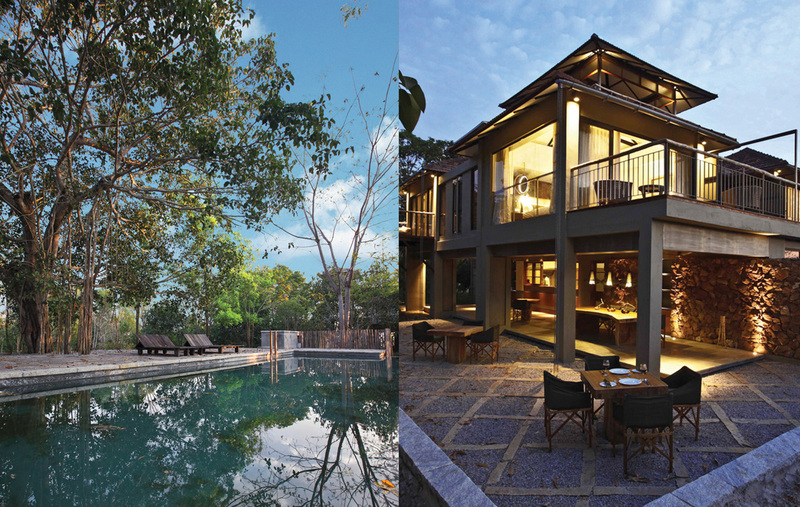 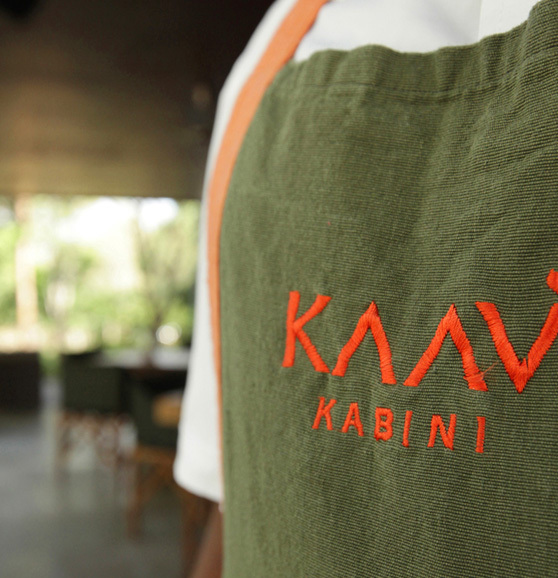 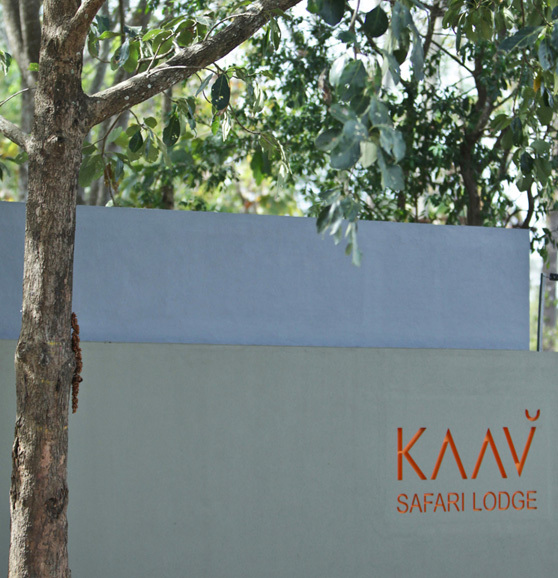 Kaav is an intimate luxury resort in Kabini, Karnataka located on the fringes of the Nagarahole National Park. 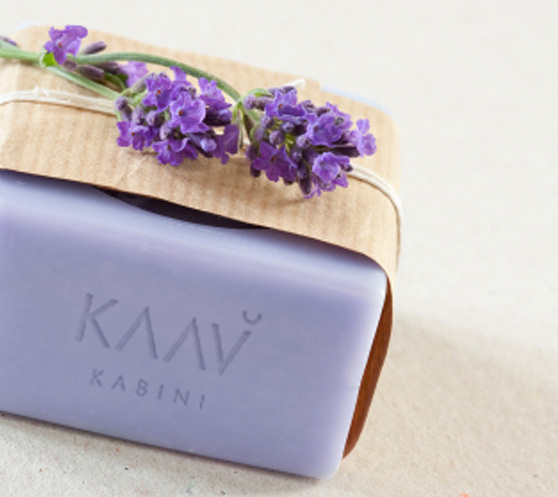 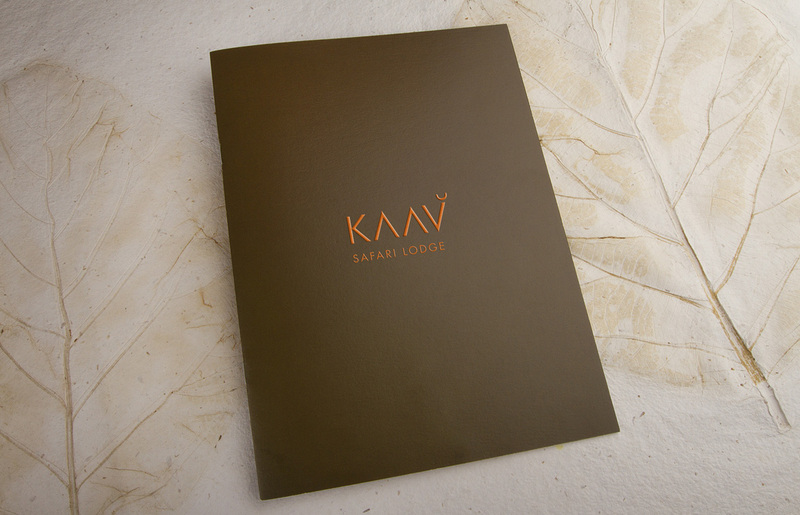 The name Kaav means ‘Sacred Grove’. 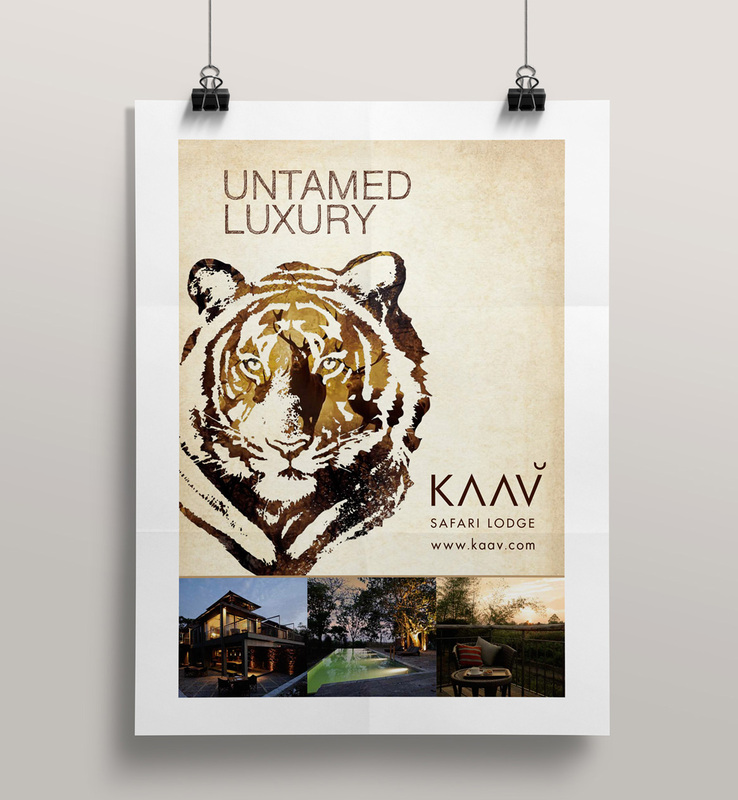 These areas of protected jungle were left undisturbed, and became the habitat of various species of birds and animals providing a perfect meditative spot. 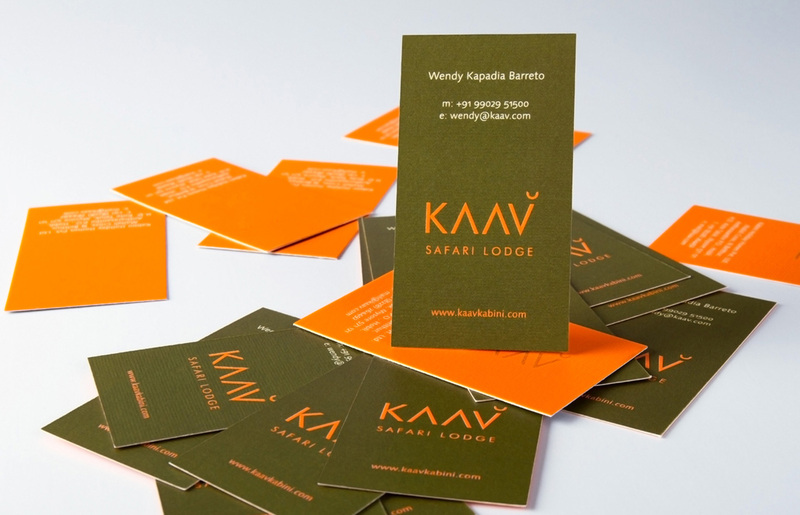 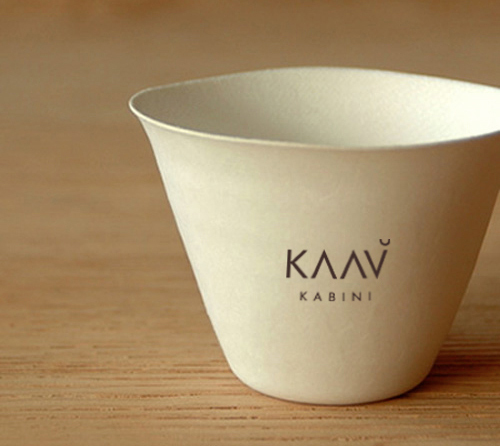 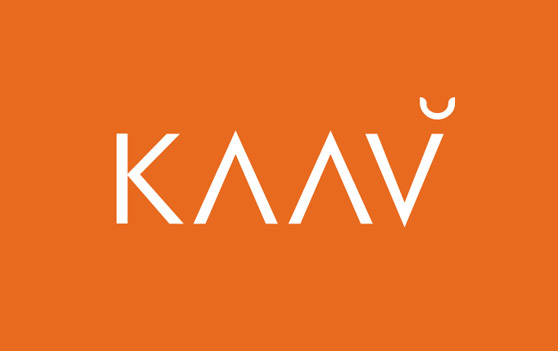 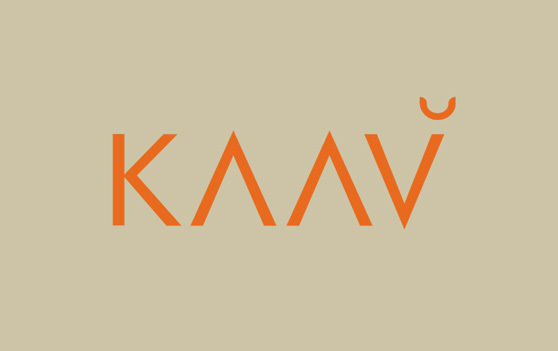 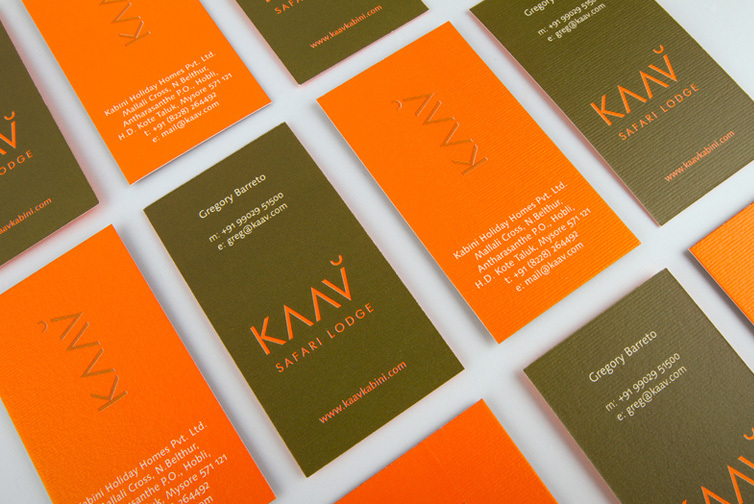 The typeface for the logo, with the accent on the V, is inspired by the Sanskrit pronunciation of the word Kaav. 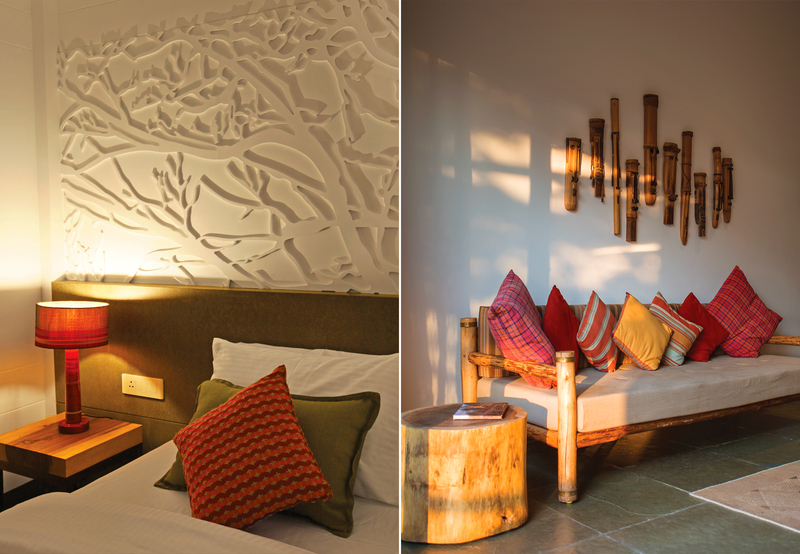 Appealing visuals of the resort together with the forest theme create a luxurious yet rustic aesthetic, which heightens the visitor’s experience. 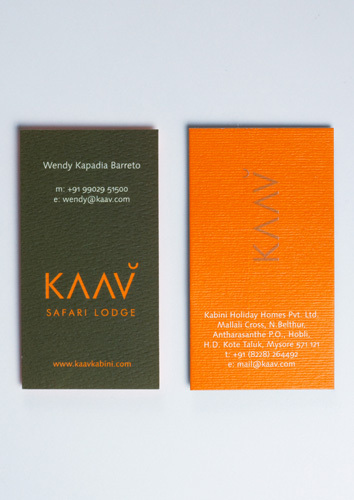 To begin, a simple emboss of the logo in bright orange on an olive green background greets the reader. 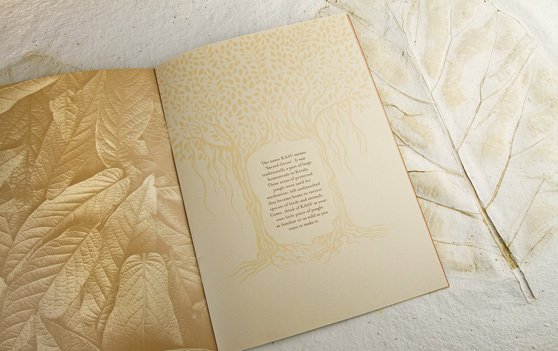 The opening page has a beautiful sepia-tinted photograph of fallen leaves on the forest floor. 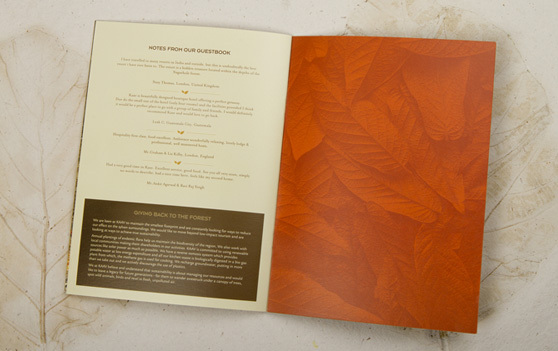 The inner pages use a combination of pencil sketches of birds and leaves on an aged, distressed paper background, with striking and inviting images of the resort running through the brochure - an invitation to the visitor to think of Kaav as their own piece of jungle as familiar or as wild as they wish. 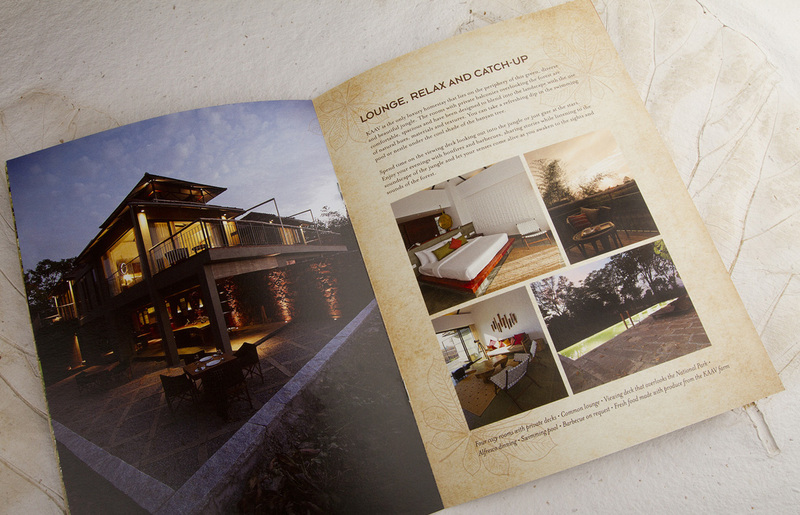 A hardbound photo album designed to showcase the resort, its facilities, activities and culinary delights. 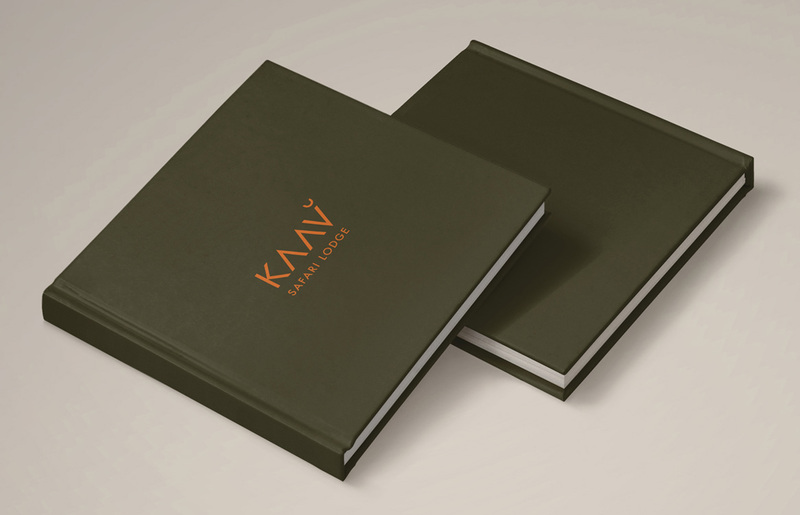 The albums are used as promotional material by travel agents. 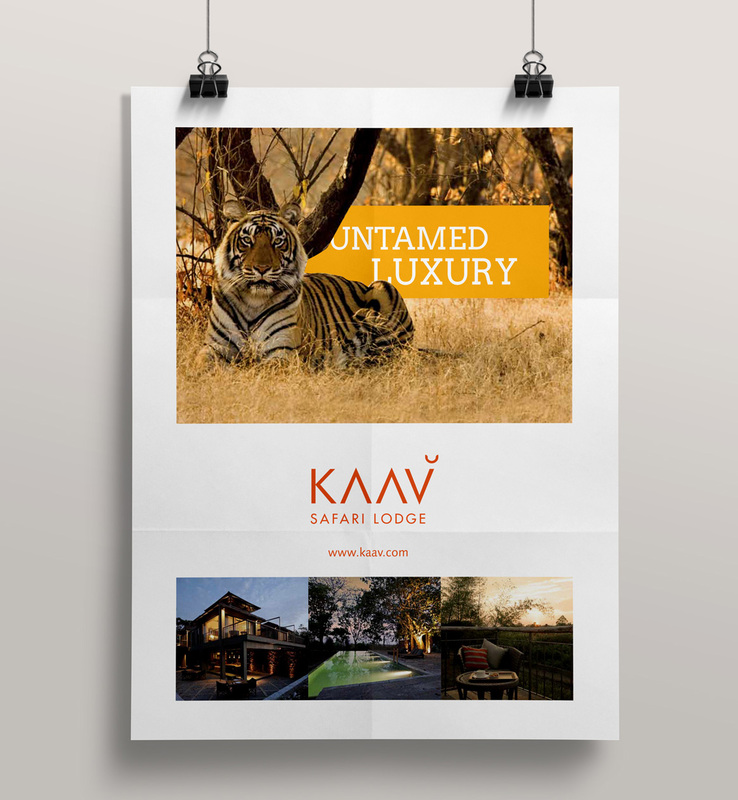 The posters showcase the wildlife sighted around the resort and are designed to be displayed at travel agencies to entice customers to visit Kaav. 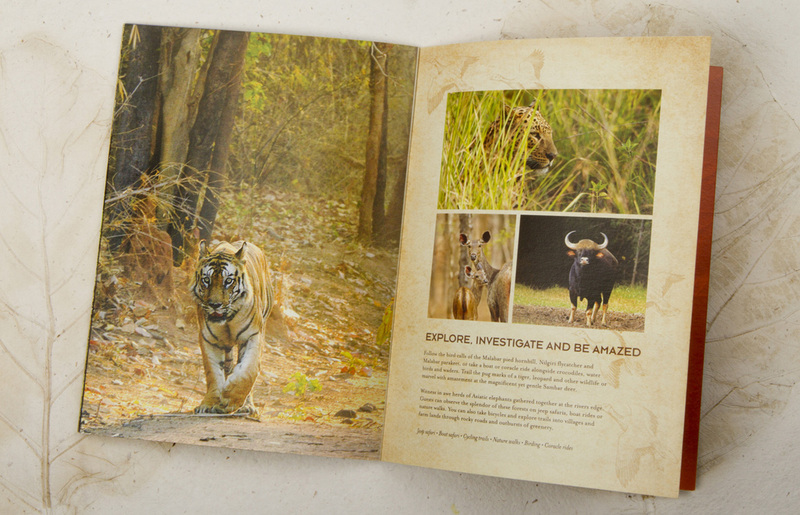 In addition to the wonderful cuisine and range of other personalized offerings, it highlights the rare chance to catch a glimpse of the Royal Bengal Tiger.